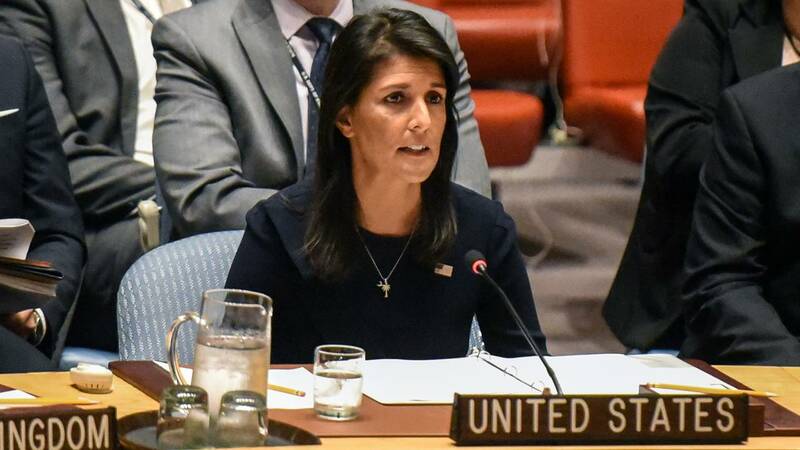 () - US Ambassador to the United Nations Nikki Haley has resigned her post and will leave the Trump administration by the end of the year. We achieved great successes at the UN. We passed the toughest sanctions against any country in a generation, pressuring North Korea toward denuclearization. We passed an arms embargo on South Sudan that will help reduce violence and hopefully bring peace to that troubled country. We stood up for our ally Israel and began to roll back the UN's relentless bias against her. We reformed UN operations and saved over $1.3 billion. We spoke out resolutely against dictatorships in Iran, Syria, Venezuela, Cuba, and yes, Russia. Through it all, we stood strong for American values and interests, always placing America first. I am proud of our record.